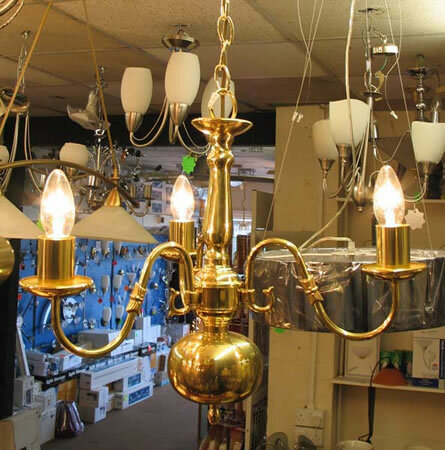 Traditional three light chandelier in polished brass plate, with polished brass sconce’s and candle tubes. This chandelier will accept glass shades if desired. Height adjustable at the time of fitting.